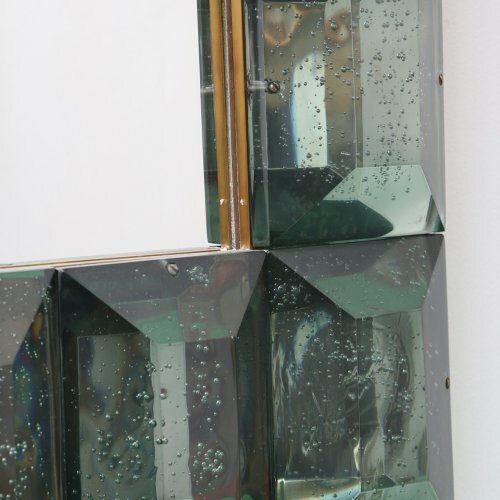 Modern Italian Aqua Green Faceted Glass Mirror. 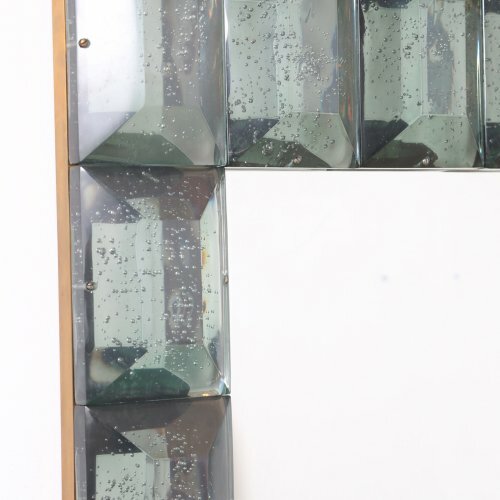 Modern Italian studio built Murano glass and brass frame mirror. 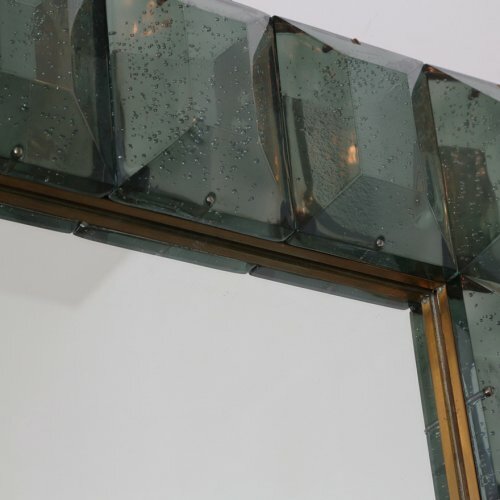 Each aqua green glass block has a highly polished diamond faceted cut pattern with air inclusions throughout. Can be displayed either horizontally or vertically.